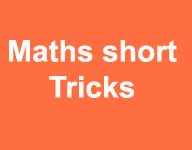 Now we are discus the second 2nd type of short trick tutorial for calculation simplification in math subject .these type of short trick is very helpful for bank exam and other competitive exam .because in bank SSC and other competitive exam solved the all question in very short time. So now how to increase the speed to solved the competitive exam question answer and complete the cut of target in exam. So used the short trick and clear the cut off in any competitive exam. 245 + 412 – 121 =?